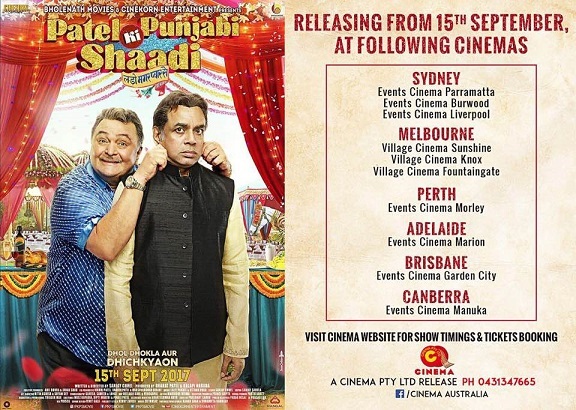 Synopsis: Patel Ki Punjabi Shaadi , Hindi comedy film is directed by Sanjay Chhel. The main cast include Rishi Kapoor, Paresh Rawal, Vir Das and Payal Ghosh. Movie is produced by Bharat Patel of Bholenath Movies.